Accountants are the financial backbones of businesses and organizations. By applying keen knowledge of industry standards and government regulations, accountants help companies develop and actualize project goals in a competitive global economy. Accounting and related careers are growing as markets expand through international collaboration and online trade. The Bureau of Labor Statistics (BLS) projects accountant and auditor positions to grow by 10% through 2026. Financial examiners and analysts enjoy similar job increases, at 10% and 11%, respectively. Undergraduate accounting degree programs provide students with integral financial knowledge from within a broad business curriculum. Students also develop the critical-thinking and problem-solving skills needed to pass certified accountant exams, gain entry-level jobs, and pursue graduate education. This guide provides extensive information on program choices, course offerings, and specialization pathways. It also includes insight into career options, including networking and professional development opportunities. Accounting degree candidates cultivate skills in financial analysis, reporting, and communication. Coursework includes core business topics, like operations management, marketing, human resources, and ethics. Undergraduate academics routinely entail internship and practicum experiences, which afford students hands-on training and experience. These experiences also allow students to develop relationships with peers, community members, and industry experts, which may lead to career opportunities. Students complete a capstone project as the culminating experience. Working individually or in teams, students synthesize knowledge to tackle business and financial issues. Outside of the classroom, students access networking and research opportunities through campus groups. Colleges and universities also partner with national organizations to help students gain financial aid and professional development support. These organizations include the Beta Gamma Sigma, which is the business honor society, and Beta Alpha Psi, the honor society for accounting students. Schools also provide learners with career guidance and placement initiatives. An accredited accounting degree leads to lucrative job opportunities. In its 2017 Employment Projections, the BLS reported that undergraduate degree holders enjoy a lower unemployment rate (2.5%) than professionals with associate credentials (3.4%) or high school diplomas (4.6%). Furthermore, professionals with a bachelor's degree earn, on average, $17,500 more in annual salary than the other two groups. Regardless of their background, any student may find the best accounting degree for their financial needs, learning style, and professional goals. Nontraditional learners gravitate toward distance education, which comes with flexible course scheduling and generous transfer policies. Recent high school graduates may prefer on-campus education, where they can access university resources, like state-of-the-art technology and face-to-face administrative support. In addition to accounting, an undergraduate degree opens doors to diverse business fields, including occupations like human resource coordinator, cost estimator, and manufacturing logistician. Many accounting degrees emphasize computer science skills, preparing students for positions as financial analysts and anti-fraud specialists. Accountants must stay updated on shifting financial regulations, especially changes to trade and taxation. Many of the aforementioned careers require professional certification/licensure. Bachelor's programs prepare students for these exams through coursework and extracurricular tutelage. By earning their certified accountant credentials and accumulating work experience, professionals can occupy high-paying leadership roles as business development managers and program directors. Financial Examiner: These professionals oversee the financial activities of banks and loan organizations to ensure compliance with government laws. They assess management effectiveness and review balance sheets. Financial examiners generally specialize in either consumer compliance or risk assessment. In either case, students need a bachelor's degree to access this career. Many employers, including the Federal Deposit Insurance Corporation, prefer examiners with certification/licensure. Accountant/Auditor: When working with individual clients, accountants and auditors ensure clients’ financial reports and tax claims are accurate. Professionals who work for businesses and organizations help employers maintain documents. Additionally, they assist with financial research and planning to help organizations run efficiently. Whether working in the public, private, or government sectors, accountants must earn state-sanctioned licensure. Cost Estimator: These financial specialists help businesses budget for projects using mathematical projections and simulation software. Cost estimators work in a particular industry, like construction or manufacturing. They factor costs in relation to labor, time, and production, and find ways to reduce expenses. To access this career, students need at last a bachelor's degree with specific training in information modeling and design software. Financial Analyst: Also known as investment or securities analysts, these professionals help individuals and businesses make wise financial decisions. They evaluate the performance of bonds and stocks relative to current socioeconomic trends. Financial analysts usually specialize in a particular industry or geographic region. In addition to an undergraduate degree, analysts earn certification from organizations like the CFA Institute. Financial Manager: These business leaders ensure the long-term financial growth of their organization. Working with teams, financial managers develop and implement strategic plans. They also oversee daily administrative functions, produce financial reports, and train employees. Like other accounting careers, managers may specialize in such areas as credit, insurance, or risk reduction. While professionals can occupy this position with an undergraduate education, most employers prefer candidates with ample work experience and a master's degree. Master's in accounting programs offer advanced theoretical knowledge and skill training in areas like management statistics, international accounting, family wealth preservation, and business mergers/acquisitions. Graduate students also develop leadership acumen and pursue independent research that prepares them for high-ranking roles, such as information scientists and postsecondary educators. For practitioners, a master's program reflects the main path to certified public accountant (CPA) status. While states operate separate public accounting boards and differing qualifications, the one ubiquitous requirement for licensure is 150 hours of higher education (120 from a bachelor's program and 30 from a master's). The BLS reports that earning a graduate accounting degree leads to better career prospects. The organization's 2017 Employment Projections show master's degree holders benefit from a smaller unemployment rate (2.2%) than those with bachelor's credentials (2.5%). By obtaining a master's degree, certified accountants also gain access to higher-paying positions, earning, on average, $12,000 more per year than bachelor's degree holders. When researching potential colleges and universities, students should consider program length and type. A standard undergraduate program takes four years of full-time study, requiring candidates to earn a least 120 semester credits. Some schools offer accelerated tracks that allow students to complete their education in less time. Though students can expect similar prerequisite and general education requirements between schools, curriculum design varies based on department goals and faculty expertise. Accounting degrees generally fall under bachelor of business administration or bachelor of science programs. The former emphasizes general business topics, like marketing and operations management. The latter programs delve into advanced accounting areas, including internal auditing and fraud examination. Cost represents another major factor for prospective students. Online bachelor's degrees in accounting provide the lowest tuition, often disregarding residency status. This perk allows distance learners to pick schools based on characteristics like academic outcome and career support, rather than price. Schools also incentivize remote students with distinct scholarships and grants. Online programs typically come with asynchronous classes, allowing students to access course materials and collaborate with peers and instructors at their convenience. Students who pursue a traditional on-campus academic route also benefit from ample funding opportunities. They enjoy fellowship and work-study awards, which online students cannot access due to the on-campus work obligations. Beyond financial aid, traditional accounting degrees offer more course and specialization options than online degrees. When researching schools, students should also consider location and how it affects living expenses and quality of life. Location also dictates CPA licensure due to state-specific requirements. Regardless of what type of bachelor's in accounting program a student chooses, they should ensure their chosen school is accredited. To grant valid academic certificates and degrees, higher education institutions must obtain national or regional accreditation. Schools become nationally accredited through the U.S. Department of Education and the Council on Higher Education Accreditation. They earn regional accreditation from one of six organizations, depending on location. For example, New York colleges apply for regional accreditation from the Middle States Commission on Higher Education. Colleges and universities may also obtain programmatic accreditation for accounting degrees. The Accreditation Council for Business Schools and Programs (ACBSP) and the Association to Advance Collegiate Schools of Business (AACSB) represent the main accrediting bodies for this field. While schools usually possess either ACBSP or AACSB support, the two organizations' standards are not mutually exclusive. ACBSP-accredited programs center on teaching, while those backed by AACSB emphasize research. By earning an accredited accounting degree, students ensure that the training they receive aligns with current industry standards. An accredited bachelor's also enables graduates to sit for all perfunctory and optional certification exams. Colleges and universities ask for such admission materials as a general application, academic transcripts, recommendation letters, and standardized test scores. Additionally, candidates must submit a personal statement or response essay detailing how their accomplishments, goals, and characteristics align with the school's mission. Accounting degree completion programs and accelerated tracks often require at least two years of work experience. These programs also ask applicants to complete general education and pre-business classes prior to enrollment. Online programs operate a more intensive admission process than campus-based ones. Through preliminary assessments, students must demonstrate that they possess the drive and discipline for self-motivated learning. Some schools require students to take a one-credit distance education orientation course. Due to applications’ complex and time-sensitive details, the college admission process can overwhelm students. To make the process more manageable and cost-effective, learners should narrow prospective schools to around five. Chosen schools should satisfy all major criteria, such as price, financial aid, administrative services, and career support. Minimum GPA: Colleges and universities generally require at least a 2.0 GPA. Competitive schools ask for a 3.0 minimum. Students may offset an inadequate GPA with standardized test scores or relevant career experience. Application: All accounting degree candidates must submit an online application with general information, like legal name, address, and academic interests. Over 700 undergraduate programs operate The Common Application, which allows students to apply to multiple schools simultaneously. Transcripts: For high school seniors, universities require pre-graduation and post-graduation transcripts. Nontraditional learners must submit academic records for all prior college learning. Candidates may request these documents from their school's student services or registrar's office. Letters of Recommendation: Undergraduate applicants should prepare two to three recommendation letters. These documents should come from teachers and mentors who can speak to the student's achievements and personal qualities. Certain schools limit who can write letters of recommendation. Test Scores: While some higher education institutions (particularly those that facilitate online learning) eschew standardized testing, most schools ask for SAT or ACT scores. Minimum requirements vary by institution. Application Fee: Candidates can expect to pay at least $30 for each application. To reduce this expense, students should contact prospective institutions about fee reductions and waivers. The Common Application also offers financial assistance. Because accounting degrees usually integrate core business concepts and skills, students can pursue concentrations like business administration, management, marketing, or human resources. Additional specializations include finance, economics, and computer science. Graduates benefit from ample career choices within the accounting field, including managerial accounting, forensic accounting, environmental accounting, sports accounting, and personal financial planning. The table below details five popular concentration options. Accounting majors begin degree work with general business classes, including ethics, policy, project planning, and organizational behavior. Students then study comprehensive accounting practices with courses like internal auditing and financial systems analysis. Most undergraduate degree plans allow for personalization through major and open electives. Below are five possible courses for accounting students. Intermediate Accounting: This class is a core requirement for all undergraduate accounting degree candidates. Students apply theoretical frameworks and industry standards to prepare financial statements, including extended transactions. They also learn to analyze an organization's fiscal performance through a ratio analytical method to support strategic planning. Additional topics include stockholder equity, investments, long-term liabilities, error analysis, and change. Taxation: This class covers the accounting and legal aspects of federal taxation, emphasizing individuals and unincorporated businesses. Students develop the regulatory knowledge and analytical skills necessary to assess individual tax decisions and ramifications. They also learn to navigate tax reporting, facilitate claims, and provide financial guidance. Auditing: Students learn the systematic processes involved in verifying and reporting external records. Topics include financial examination, accounting standards, and the preparation of audit working papers. Students also analyze and discuss professional ethics and legal liability, giving consideration to Public Company Accounting Oversight Board standards. Auditing is a required course for all accountants. Accounting Ethics: This class presents an ethical decision-making model for financial professionals. Students examine general ethical paradigms, as well as the specific standards detailed in the AICPA Code of Professional Conduct. They also explore how to apply ethical considerations through case studies and simulations. Accounting ethics is a particularly important topic for government accountants and those in leadership positions. Quantitative Business Analysis: A necessary course for all business professionals, quantitative analysis entails the discovery and application of statistical data. Students use inferential and descriptive methods to formulate conclusions from diverse sources. Additional topics include data organization, probability, distributions, and central tendency measurements. Quantitative business analysis is a cornerstone of many professional certification exams, including the CPA, CIA, and CMA. Conventional undergraduate accounting degrees span four years of full-time study and require 120 semester credits. Students can expedite program completion by taking maximum course loads every term, including optional summer and winter sessions. Students can also pursue accelerated degree completion programs, which allow students to earn their bachelor's in two years or less, provided they have adequate transfer credits and work experience. Colleges and universities recognize that CPA examination requirements include 150 academic hours. To help students hasten the certification process, certain institutions offer dual-degree programs where candidates earn a bachelor's and master's degree in five years. Learners with work and family obligations can take classes part time, which lengthens the time to completion. However, part-time enrollment has drawbacks, like higher per-credit tuition prices and limited financial aid. All accounting students may reduce costs and expedite graduation by applying transfer work. Through prior learning assessments, schools give students credit for relevant job experience, professional training, volunteerism, and accredited college work. College Board reports that undergraduate students, on average, pay $9,700 in annual tuition if they attend an in-state public college or university. Students who enroll out-of-state pay $25,620 each year, while private school students pay $34,740 annually. Tuition differs by program. Online bachelor's in accounting programs boast the most competitive rates. Based in Irvine, California, Brandman University provides a $500 per-credit tuition to all distance learners. Nebraska's Bellevue University operates an even lower rate, at $415 per credit. Athens State University in Alabama offers one of the cheapest accounting degrees, with online students paying $290 for each credit. On top of tuition, students must budget for living expenses, particularly if they plan on enrolling full time. Those who want to move for school can consult websites like Payscale, which provides tools for students to calculate cost of living by city and state. Accounting majors, in particular, should also factor expenses associated with technological purchases, conference attendance, and professional certification/licensure. All students can benefit from financial assistance, including institutional aid such as need-based grants and merit-based scholarships. Students can also access awards through local businesses and national associations, such as these minority student accounting scholarships provided by the American Institute of CPAs. Low-income students benefit from specific guidance and funding through such organizations as the National College Access Network and College Possible. Can I Take the CPA Exam With a Bachelor’s in Accounting? Professionals may take the CPA exam with a bachelor's degree in accounting as long as they satisfy other state-specific requirements, including course content and professional experience. Students should consult their state's public accounting board for details. Prospective accountants often confuse examination and licensure. To sit for the CPA exam, candidates need 120 hours of academic training, which they garner through a bachelor's program. To earn the CPA license, students must possess at least 150 hours of higher learning. Because of this 30-hour difference, most accounting students earn their master's degree before attempting examination. Certain colleges and universities help students expedite the certification process by offering joint-degree or extended bachelor's programs, where students can accumulate 150 hours efficiently. The CPA exam spans 16 hours and consists of four equally timed sections: auditing and attestation, regulation, financial accounting and reporting, and business environment and concepts. Even with a master's education, test takers find the exam challenging, so it behooves candidates to spend ample time studying. They should also consider enrolling in CPA preparation courses. Young CPA Network: A community for new and aspiring CPAs, the network offers competitive academic scholarships and research/travel grants. Students also benefit from professional development programs, like the Leadership Academy and the EDGE conference. Chartered Financial Analyst Institute: Professional certification represents the CFA Institute's main objective. The organization operates the CFA credential and the Certificate in Investment Performance Measurement. Professionals can also tap into volunteer opportunities and career resources. Association for Financial Professionals: The AFP provides two professional certification pathways and a host of career development resources, including personal coaching and resume services. Professionals also benefit from webinars and a library of training documents. American Association of Finance and Accounting: The AAFA operates a large job database where professionals can search by location and keyword. The association also offers up-to-date news through its blog and individualized career development services through its more than 40 offices and affiliates. Beta Alpha Psi: As the premier honor society for accounting, finance, and information systems students, Beta Alpha Psi facilitates networking and mentorship opportunities. Students can take advantage of research competitions and award programs. Beta Alpha Psi operates over 300 chapters worldwide. Bachelor’s degree in accounting students can tap into networking and professional development opportunities by joining professional organizations. Membership often requires an annual fee but provides opportunities to obtain academic scholarships, career guidance, and internship opportunities. Professional organizations also support members through on-demand training. American Accounting Association: Founded in 1916, the AMA is the largest academic community for accountants and financial professionals. Members access cutting-edge research and guidance for their own projects. AMA also provides education awards, training webinars, and an in-depth career center. National Society of Accountants: The NSA supports accountants through industry standardizations and government advocacy. Members can tap into certification guidance, skill-based webinars, and continuing education opportunities. They also gain access to a large resource library. Institute of Management Accountants: The IMA provides two certification tracks: the certified management accountant and the certified in strategy and competitive analysis. The institute also offers career resources, including personal assessment tools, an online job search, and a leadership academy. American Institute of Certified Public Accountants: Boasting over 431,000 members worldwide, the AICPA is the largest professional accounting organization. Members benefit from certification guidance, comprehensive self-study tools, topical conferences, and skill-specific webcasts. The Association of International Accountants: Established in 1928, the AIA connects members with corporate partners, facilitating career opportunities and industry growth. Accounting students enjoy exam guides and study courses. They also gain hands-on training through professional development programs. 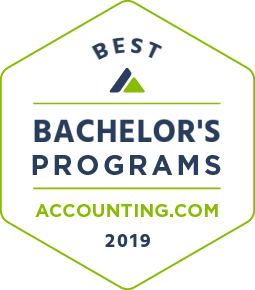 What Are the Best Bachelor’s in Accounting Programs? Brigham Young University in Provo, Utah, provides one of the best accounting degree options with hands-on learning opportunities and a curriculum incorporating accounting expertise, teamwork, and ethical decision-making. Affiliated with the Church of Jesus Christ of Latter-day Saints, all students must agree to uphold the school's honor code based on tenants of the denomination. Members of the church qualify for reduced tuition. Students can complete the undergraduate degree in four years with an understanding of accounting information systems, financial accounting, managerial accounting, and taxation. The school limits admission to 265 students organized into five sections. Students can further their education through involvement in extracurricular clubs and professional and honor societies. BYU boasts an enrollment of more than 30,000 undergraduate students in 179 majors. First-year students benefit from an organized mentoring program that pairs them with upperclassmen who provide guidance and answer questions throughout the year. The school holds regional accreditation from the Northwest Commission on Colleges and Universities. Students seeking an accounting degree from the University of Washington in Seattle benefit from cooperative educational programs with top companies headquartered in the city, including Amazon, Boeing, and Starbucks. Many upper-division classes within the business school allow students to take on consulting roles with business leaders, developing solutions to real-world problems. First-year students may apply for direct admission to the business school and compete for need-based and merit-based awards. Business Community student housing provides opportunities to develop lasting relationships with fellow students and engage in academic and recreational activities. UW offers 28 business clubs and organizations, providing students with multiple opportunities to network and develop leadership skills. The Business Undergraduates in Leadership Development program features a series of workshops and events focused on professionalism, skill development, and community and culture. The school also connects students with alumni mentors who can provide career guidance. UW maintains regional accreditation from the Northwest Commission on Colleges and Universities, and the business school holds specialized accreditation from the Association to Advance Collegiate Schools of Business. The University of Florida offers students the chance to earn an undergraduate accounting degree and accelerate their progress toward a master's degree. The accelerated program also meets educational requirements to sit for the Certified Public Accountant Exam. The curriculum includes a foundation in general business management with intense study of accounting principles, business ethics, and standard accounting software. The school hosts a professional speakers series each fall and spring semester, offering career advice and networking opportunities. UF also boasts faculty who are experts in the field and on the forefront of academic research in accounting. Located in Gainesville, Florida, UF serves more than 50,000 students across its 16 schools and colleges. The campus hosts numerous music and arts performances, with almost 1,000 student organizations. The school competes in Division 1 athletics and offers more than 60 intramural and recreational sports. Accredited by the Southern Association of Colleges and Schools, the school is part of the University of Florida system. Graduates from the accounting degree program at the University of Georgia will find school alumni in top regional, state, and international firms. Ninety-five percent of students find full-time employment within three months of graduation. The four-year undergraduate degree prepares students to become tax consultants, auditors, staff accountants and more while a five-year program includes a master's degree in accounting. The faculty consists of educators active in academic writing and research. Students may participate in internships and/or independent research projects. Many students take part in study abroad or student exchange programs and can co-major in international business. The business college offers almost 30 student clubs and organizations related to business and professional development. UGA also provides an online platform that allows students to network with alumni. Located in Athens, UGA serves more than 37,000 students with undergraduate degrees in over 140 fields. The public university was chartered in 1785, making it the birthplace of public higher education in the U.S.
Students who graduated from Madison's bachelor's in accounting program in 2016 took a range of jobs as staff accountants, tax associates, financial analysts, and mortgage bankers, negotiating an average starting salary of more than $57,000. Employers of these recent grads ran the gamut from local accounting firms to international groups like Deloitte, Ernst & Young, KPMG, and PricewaterhouseCoopers. Once accepted to the bachelor of business administration in accounting program, learners are immersed in classes like financial reporting and accounting systems to build foundational knowledge before moving into advanced studies in areas of financial statement analysis or audit and assurance services. Students in the Accounting Honors Society are also welcome to participate in the Volunteer Income Tax Assistance program to help low-income community members complete their tax returns. Rounding out the 2017 ranking of the best accounting degrees is the Raleigh campus of North Carolina State University. Housed within the Poole College of Business, this revered bachelor's degree in accounting offers concentrations in financial analysis, information systems, managerial accounting, and internal audit. Preparing students for master of accounting programs, learners focus on building cornerstone skills and knowledge before moving into more nuanced studies at the graduate level. Students with aspirations to work in accounting data analytics can apply to the business analytics honors program to receive additional individualized instruction. Independent study opportunities are also available for learners with niche interests in the field. When they aren't in the classroom, students can take advantage of interest groups focused on accounting topics or participate in local community work. Students seeking an accounting degree from the University of Maryland, College Park will not only learn the basics of accounting but glean the latest information in specialized research. The school is home to the Center for the Study of Business Ethics, Regulation, and Crime, allowing researchers to study links between business and criminology while the Cybersecurity Economics Education and Research Group help evaluate the business impact of cybersecurity and risk management. The school offers both a four-year bachelor's degree and a five-year combined bachelor's and master's degree. The certified public accountant (CPA) track includes 120 credits, which may not fully satisfy CPA licensing conditions. However, many states may allow students to take the exam after meeting specific educational requirements. The school offers minors in general business, business analytics, and innovation and entrepreneurship. Located just outside Washington, D.C., UMD serves nearly 40,000 students. The school offers 92 undergraduate, 107 master's, and 83 doctoral programs and is accredited by the Middle States Commission on Higher Education. The accounting degree offered by the University of Texas at Austin ranks at the top of U.S. News & World Report‘s undergraduate programs. The school ensures its curriculum prepares graduates for the workforce or graduate school by consulting with business executives, incorporating cutting-edge industry advancements into the curriculum. Students also learn from professionals in the field with a for-credit lecture course that explores accounting careers. A contemporary topics course offers an in-depth study of issues such as petroleum accounting, real estate taxation, and financial planning for wealth management, while an accounting practicum puts students to work in public and private enterprises in the Austin area. The school offers a four-year undergraduate degree or a fast-track combined undergraduate and master's degree. UT Austin also hosts an annual research conference, allowing faculty and students to share their original research in accounting. The EY Accounting Ambassadors program pairs first-year students with graduate student mentors and hosts various workshops and speakers related to professional development. The university is regionally accredited by the Southern Association of Colleges and Schools while the business school maintains Association to Advance Collegiate Schools of Business accreditation. The Krannert School of Management at Purdue University in Indiana offers a baccalaureate accounting degree covering foundational knowledge students will need upon graduation. Offered as a 120-credit program, this degree is ideal for students who either want to move straight into a job or meet all the requirements for a master of accountancy program. The department is home to a number of notable faculty, including Beth Brooke-Marciniak, who regularly is listed among Forbes' 100 Most Powerful Women. Alumni jobs currently range from PricewaterhouseCoopers to the FBI, with classes designed to cover all the topics they'll use regularly in the professional world. Extracurricular options include both Beta Alpha Psi and the Purdue Accounting Association, while students are also regularly placed in internships ranging from Big 4 firms to local or regional accountancy organizations. The University of Illinois Urbana-Champaign‘s accounting degree prepares students for careers in corporate or government accounting, graduate school, or law school. Its curriculum includes a practical problems course that helps students prepare for the Certified Public Accountant exam, internship opportunities, or independent research. Many faculty members and students take on research opportunities through the VK Zimmerman Center for accounting research and education, and the school partners with several international universities on research projects. UIUC also publishes the International Journal of Accounting, which explores the impact of global accounting standards on regulation and business. The public university occupies a 4,552-acre campus in east-central Illinois. Enrollment tops 47,000 students each year across 15 colleges and schools. On-campus recreation includes 470,000 square feet of fitness and wellness centers with a climbing wall, indoor tracks, pools, and basketball courts. Accredited by the Higher Learning Commission, UIUC also holds institutional accreditation from the Association to Advance Collegiate Schools of Business and boasts a 96% career placement rate for business school graduates. Students seeking an accounting degree from the University of Pittsburgh may choose an undergraduate degree, a double degree, or a combined undergraduate and master's degree track. The 120-credit undergraduate degree provides a solid foundation in accounting and business principles, with elective course offerings in business law and financial statement analysis. Individuals wishing to take the Certified Public Accountant (CPA) Exam, however, should consider the 150-credit double degree or four-year combined bachelor's and master's program. Both meet CPA licensing requirements. Students who've taken college courses in high school may qualify for the accelerated master's program and advanced standing. Pitt grants incoming students the option of advanced standing provided they have 15 college credits. The school also encourages transfer students, with articulation agreements in place with multiple community colleges in the Pittsburgh region. Founded in 1787, the public university serves more than 33,000 students annually. The 132-acre campus features a 42-story Gothic Revival skyscraper, the Cathedral of learning, with classrooms, libraries, computer labs, and more. Located in Manhattan's Park Avenue area steps away from Wall Street, Bernard M. Baruch College in the City University of New York system offers a bachelor's degree in accounting with an elective emphasis in business law, investment analysis, securities law and business crime, and more. The degree provides a liberal arts curriculum and general business foundation that prepares graduates to work in accounting positions with nonprofit organizations, government agencies, or private industries. The school also offers an accelerated path to a master's of accountancy. Baruch serves more than 18,000 students each year. Founded as the Free Academy in 1847, the school continues its legacy of high-quality, affordable, and accessible education. Students can also participate in student organizations, clubs, and service learning opportunities. The T.E.A.M. Baruch program offers leadership development and the opportunity to apply for paid peer mentorship positions. Baruch business programs maintain Association to Advance Collegiate Schools of Business accreditation. Appalachian State University, in the mountain town of Boone, North Carolina, offers students in its accounting degree programs personalized attention from faculty members with expertise in the field. The department serves nearly 400 students each year with courses in cost accounting, information systems, tax return preparation, and more. All students complete an international requirement, with opportunities available for study abroad. Juniors may attend seminars on career opportunities and professional development before the annual “Meet the Firms” recruiting event each year. Many students complete internships for academic credit and pay, with most placements leading to full-time employment after graduation. The school also offers a one-year master's in accounting, which helps prepare them for the Certified Public Accountant Exam. Founded in 1899, the public university serves approximately 19,000 students each year and is part of the University of North Carolina system. Students enjoy music and art programs, NCAA Division I athletics, and outdoor recreation. The school also offers multiple residential learning communities, including a business exploration community and several special-interest communities. The University of Notre Dame offers students a bachelor of business administration (BBA) with a focus in accounting. Notre Dame's undergraduate accounting degree helps students move towards CPA licensure with thoughtful and cutting-edge courses in topics relevant to the current world of accounting. Featured courses include decision processes in accounting and TAP, the tax assistance program. When they aren't in class, learners can take part in local chapters of well known accounting organizations, including the Association of Latin Professionals in Finance and Accounting, the National Association of Black Accountants, and Beta Alpha Psi, the accounting honor society. According to the latest statistics available, graduates of the program achieved a 98% job placement rate within one year, with 75% joining one of the Big 4 accounting firms. Others move into careers at other accounting firms or jobs in corporate financing, consulting, or financial services. Technical expertise, critical thinking, and ethical decision-making are at the heart of the Texas A&M accounting degree program. In addition to a bachelor's in accounting, the school also offers specializations in energy accounting, internal auditing, and CPA exam preparation. Students take core business classes and advanced accounting courses, as well as a professional development course during their junior year. They can also earn credit for internships. Texas A&M offers six-week mini-mesters during the spring semester, allowing students to take additional classes, such as accounting ethics and international accounting. Located in College Station, Texas A&M serves almost 70,000 students at its 5,200-acre campus. Founded in 1876 as a military academy, the school continues to offer the Corps of Cadets and commissions more officers than any other institution outside military service academies. Texas A&M also leads the state in six-year graduation rates. The school offers more than 1,000 student organizations, with professional clubs, recreational sports leagues, special interest clubs, and student service and leadership. The school maintains institutional accreditation from the Southern Association of Colleges and Schools and business school accreditation through the Association to Advance Collegiate Schools of Business. The accounting degree offered at Rutgers University in New Brunswick, New Jersey, offers specializations in multiple forms of accounting, allowing graduates to seek careers as tax accountants, auditors, or forensic accountants. Many graduates of the school have gone on to work with the “Big Four” accounting agencies — Ernst & Young, Deloitte & Touche, KPMG, and PricewaterhouseCoopers. The faculty includes recognized experts in accounting and finance research. All students take core business courses to understand business functions and principles before declaring their major and taking advanced accounting classes. Graduates may choose to continue their education with one of five master's accounting programs offered. Rutgers maintains strong relationships with business leaders around the world. The school partners with companies to place student interns, recruit new employees, or find prospective managers. Alumni offer current students the benefit of their experience through a mentorship pool, as well. Rutgers is the eighth oldest university in the country, founded in 1766. It welcomed its largest first-year class ever in 2018, with more than 7,000 new students. Students seeking an accounting degree at Clemson University gain the analytical ability necessary to solve accounting problems. The undergraduate curriculum includes general business courses and a liberal arts education to develop presentation and communication skills. The intensive accounting courses include accounting methodology, finance management theory, taxation, and auditing. The school also encourages students to participate in an internship before graduation. Their summer global engagement program offers international learning experiences. Professional organizations provide additional out-of-class learning and leadership opportunities. Located in Clemson, South Carolina, the university sits on a 1,400-acre campus in the foothills of the Blue Ridge Mountains, close to multiple outdoor recreational opportunities. The 22,000 students choose from over 80 undergraduate degrees and 110 graduate degrees. The school boasts a 19 to 1 student-faculty rate. Clemson offers more than 450 student clubs and 17 intramural sports leagues. Regionally accredited by the Southern Association of Colleges and Schools, the School of Accountancy maintains programmatic accreditation from the Association to Advance Collegiate Schools of Business. The University of Minnesota Twin Cities, the flagship campus of the UM system, offers an interdisciplinary approach to its bachelor's degree in accounting, drawing on sociology and psychology as well as finance and economics. The four-year degree prepares graduates for entry-level careers in auditing or tax planning. The accredited degree plan also prepares students for graduate-level study in accounting, finance, or law. Students may minor in a related business area such as business law or public and nonprofit management. The school values experiential learning, with four enterprise programs studying real-world business challenges, internships, co-op programs, and international study experiences. The business school also offers multiple student-led organizations, including the Volunteer Tax Assistance Program that helps low-income individuals complete their federal tax returns. The university boasts a four-year graduation rate of 65.2% and a first-year retention rate of 93.2%. It offers students the option of Living Learning Communities through university housing, with academic communities or special-interest communities available. The business school has maintained Association to Advance Collegiate Schools of Business accreditation since 1920. Virginia Tech in Blacksburg, Virginia, offers numerous professional certifications to complement an accounting degree, helping graduates gain essential industry credentials. The school offers certifications in management accounting, information systems auditing, information technology, and personal finance. The undergraduate curriculum includes core business knowledge and advanced coursework in accounting practices. Classes also contain information teamwork and leadership components. The undergraduate degree requires 120 credits, but the special 152-hour program allows students to earn a master's degree and complete educational requirements for the certified public accountant license. The school maintains strong relationships with the Virginia Society of CPAs, hosting the annual Accounting and Auditing Conference. These industry connections also help identify internship and cooperative learning opportunities for students. The school hosted its first accounting research conference in 2018. Virginia Polytechnic Institute and State University, founded in 1872, offers more than 280 undergraduate and graduate programs. The school serves more than 34,000 students from its 2,600-acre campus. Students may choose from hundreds of student clubs and organizations and take part in civic engagement and service learning through the VT Engage program. Michigan State University, in Lansing, Michigan, pairs more than 200 accounting degree students with internship opportunities each year. The accounting department works closely with industry professionals and top certified public accountant firms to ensure the accounting curriculum prepares graduates to enter the workforce. Students in the 120-credit undergraduate program study business basics and advanced principles and concepts in accounting. They also choose from electives in commercial transactions, government accounting, and nonprofit accounting. Students may also select a five-year combined bachelor's and master's track. Accounting students at MSU enjoy extracurricular and service learning opportunities through the Accounting Student Association and the Volunteer Income Tax Assistance program, with more than 800 special-interest clubs and organizations available campus-wide. Students may choose to live in the Residential Business Community in the River Trail Neighborhood campus housing complex, just a short walk from the business college complex. MSU serves more than 50,000 students each year from its 5,200-acre campus. Students enjoy access to art museums, a planetarium, and horticulture gardens as well as numerous sporting events and activities in the Lansing area. 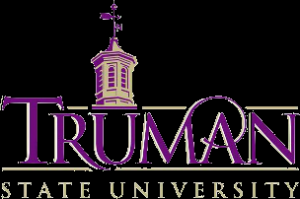 Truman State University in Kirksville, Missouri, offers students in its accredited accounting program the option of combining accounting study with finance, business administration, international business, and marketing. The curriculum prepares graduates for the workforce with an advanced knowledge of accounting and business systems as well as sought-after communication and leadership abilities. Many students continue their education with a master's in accounting. The department offers numerous resources to help students succeed, including an academic peer mentor program which pairs first- and second-year students with upperclassmen who provide insight and advice on opportunities available within the department. The school sponsors several internship programs, including the Missouri Government Internship, and partners with top accounting firms in the region. Students can also take on independent research projects, sharing them at the annual Student Research Conference. Truman maintains a 16-to-1 student-to-faculty ratio. Students can become active in more than 240 clubs and organizations on campus and participate in intramural sports. The university also hosts numerous plays, concerts, and sporting events. Students seeking an accounting degree from the University of South Florida complement their classwork with real-world work experience through internship programs. The school estimates 93% of business students complete an internship or work part-time or full-time in their field while in school, and 97% of students who complete internships receive an offer of full-time employment upon graduation. USF, located in Tampa, works with large accounting firms in the city as well as hundreds of corporate partners to offer internships and recruiting options. The curriculum develops critical thinking abilities to complement the 24 credits of advanced accounting coursework. Students also enjoy discounts on professional accounting certifications, such as the Certified Management Accountant designation. Graduates may choose to take a fifth year and complete a master's degree and academic requirements for CPA certification. USF serves nearly 50,000 students. The university offers many on-campus housing options and more than 600 student clubs and organizations. Florida State University in Tallahassee incorporates networking and professional development into its accounting degree curriculum. Students benefit from structured job shadowing programs, professional mentoring, and an internship program that satisfies the school's Scholarship in Practice requirements. The school also hosts a lecture series presented by industry leaders. The Wall Street Prep course provides enrichment learning in areas of investment banking, portfolio management, and corporate finance. The four-year program begins with introductory courses in business and accounting. This is a limited access program, with students competing for placement in upper-division classes. To qualify, students must have completed prerequisites with satisfactory grades and passed the FSU Accounting Competency Exam. Some students may elect a streamlined, combined bachelor's and master's program. FSU offers more than 750 extracurricular opportunities, from professional clubs to campus organizations providing friendships, civic engagement, and leadership development. FSU does allow incoming students to defer their enrollment for one academic year, allowing them time to take part in volunteer programs or other activities that complement their education. The State University of New York at Binghamton believes experiential learning is imperative for student development. The accounting degree program allows students to complete internships, take part in case study competitions, study abroad, community engagement, and a real-time trading room. The EY Trajectory Program pairs students with professional mentors while summer and winter internships offer paid and unpaid opportunities with accounting firms in the area. The PricewaterhouseCoopers Scholars program provides first-year students with enhanced academic opportunities, networking opportunities, and community service programs. The four-year degree prepares graduates to take accounting and auditing positions in corporate offices or government agencies while a five-year combined bachelor's and master's program also meets CPA requirements. SUNY at Binghamton serves 17,000 students. Its residential learning communities allow students to take part in organized activities related to a special interest or academic area. The campus offers more than 160 student clubs, multiple intramural sports teams, organized outdoor adventures, and free entertainment opportunities. Students seeking an accounting degree from the University of Texas at Dallas may focus on career areas of accounting information systems, auditing, corporate accounting, internal auditing, taxation, or governmental and nonprofit accounting. The Professional Program in Accounting leads to a bachelor's and master's in accounting and enables students to take special classes and internships needed to become a certified public accountant. All students must complete an internship during their time at UT Dallas. Students also take part in case competitions and can look to peer mentors for advice and help to navigate the campus. The Meet the Firms career fair brings more than 30 firms seeking accounting graduates. UT Dallas offers Living and Learning Communities for first-year students, offering organized activities throughout the year. The school has student clubs related to accounting and other interests. The campus not only hosts professional and student concerts and plays, but students also can access entertainment and recreation venues in the Dallas region.